Romantic inspiration from Adrianna Papell. 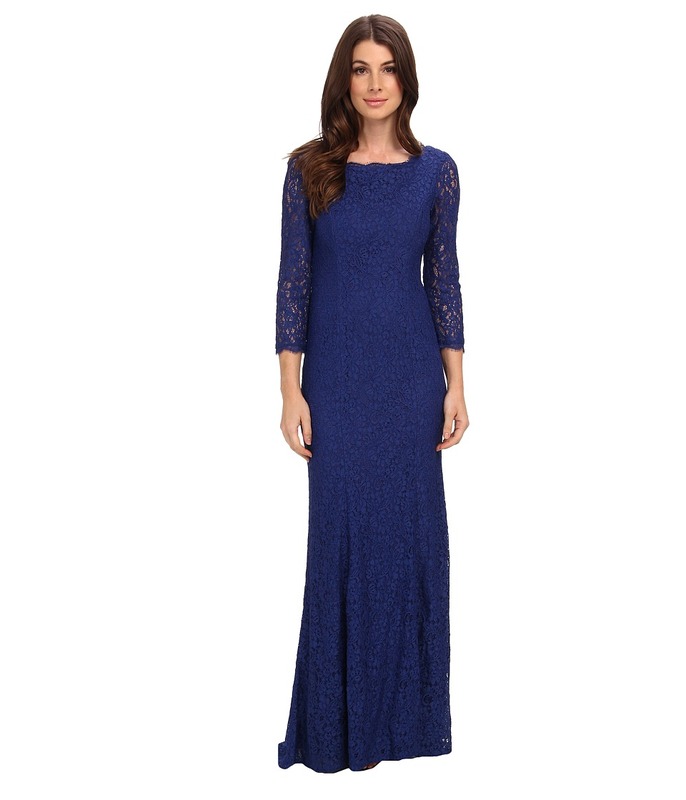 A-line gown features elegant corded lace throughout. Scalloped boat neckline with a V-backline. Three-quarter length illusion sleeves. Concealed zip closure in the center back. Attached sweep train. Fully lined. 56 percent viscose, 44 percent nylon Combo: 100 percent nylon Lining: 100 percent polyester. Dry clean only. Imported. Measurements: Length: 60 in Product measurements were taken using size 2. Please note that measurements may vary by size.